I have heard some people have covered the bottom of the legs with epoxy to water proof them. I think it would be a more permanent solution then duct tape. I have a problem with my box dovetail demo in that it just takes to long. To many repetitive steps. 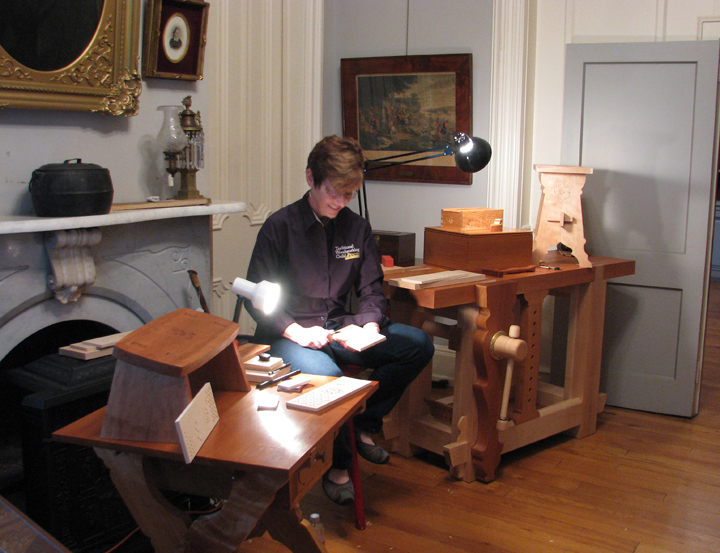 Next time I'll just make it a dovetail demo with each side being seperate demonstration. Then doing a planing demo for top and bottom to break it up. I will say the thing the kids enjoyed the most was getting to saw and planing themselves. 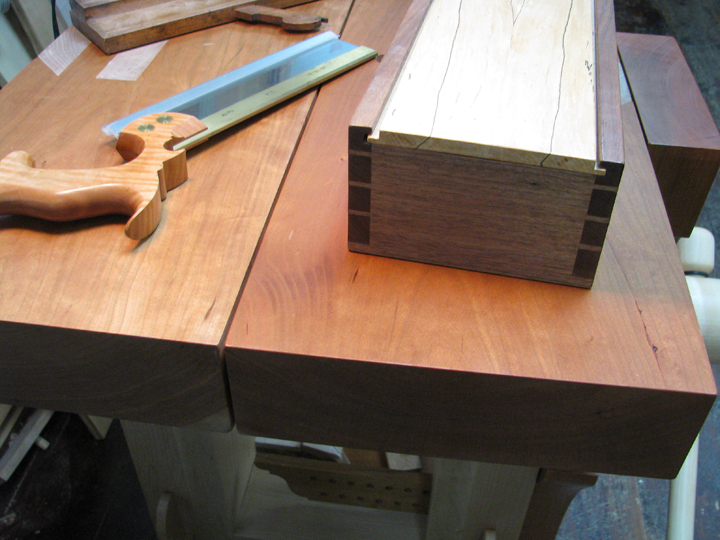 I'd start the 90* cuts for the dovetail, getting the top and face angles sawn, then let the kids finish. All they had to do was focus on stopping on the line since the kerf was started. 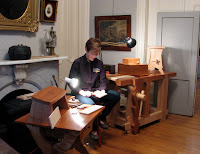 I'd also demo doing a round over on the two end grains and let them do the long grain. Is the duct tape to silence your partner? FC, are you trying to get me in trouble??? I think a dovetail candlebox video is in order. And you can talk all you want to. I am wondering about your dovetail candle box. 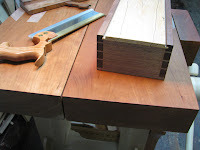 Seeing as how the dovetails are through, what did you do with the groove for the bottom? Bill, that's a good idea. 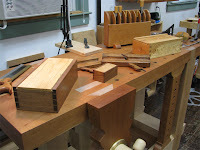 I did a video on handcut dovetails, but an entire box might be interesting. 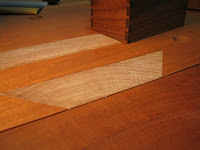 Josh, I made stopped grooves with a router (I think—it's been awhile). 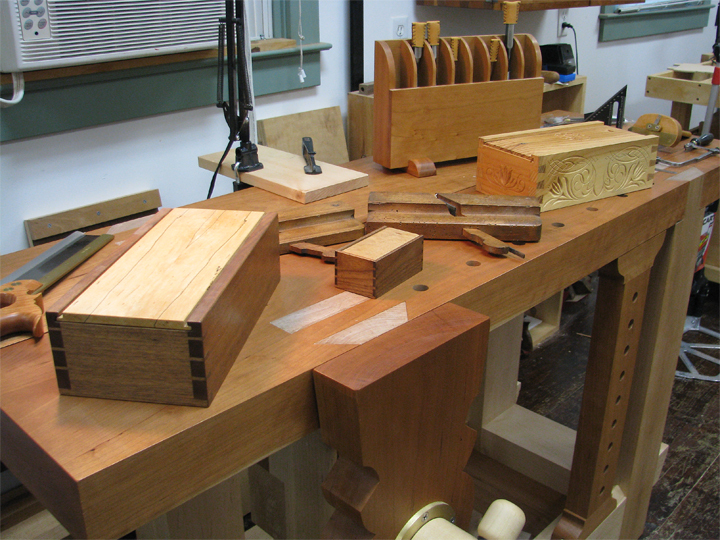 With these boxes, though, I'm going to run the grooves all the way through with my plow plane and then plug the holes later with square, tapered pegs. They should be fairly invisible on the endgrain. Jamie, I've been very fortunate to have these opportunities. And yeah, 74º and sunny on Sunday--how lucky is that?? Have a great time, Kari. I wash I was close enough to attend without making a weekend trip out of it. I can't wait to see Greta in person. Abi, my partner sustained no injury from imparting her words of wisdom to me. But I'll remember to not use that phrase with my hairdresser. My hair is short enough!